You can’t beat the comfort of an old baking favourite. 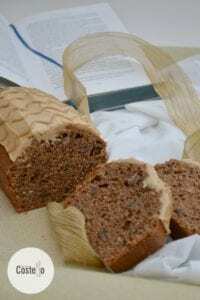 I was just in the mood for a slice of cake to enjoy with my brew and my latest book, so Coffee & Walnut Loaf Cake it was. Simple decorations work best with this – Some powdered icing sugar mixed with instant coffee and boiling water with a perky little walnut plopped on top. Sometimes, simple works best. 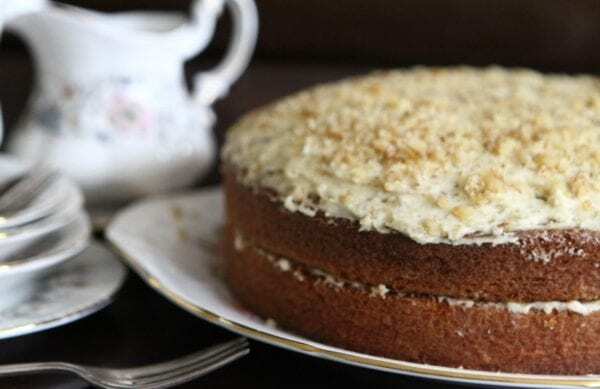 I don’t chop the walnuts up too finely for this recipe – the joy is in the crunch throughout the super soft cake. In fact, I break the nuts up with my fingers instead of a knife to get the uneven chunks. As with any walnut recipe, pecan nuts work just as well here too. 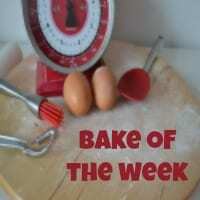 Thank you as always to my ever patient co-host Jenny Mummy Mishaps for hosting the last #BakeoftheWeek. The eagle eyed amongst you will have noticed that we had a week off last week – totally my fault and my crazy schedule! I also managed to miss my 9th blogging anniversary last week too so watch out for celebrations coming soon. I’d like to start off the celebrations by sharing previous #BakeoftheWeek entries from over the past few years. Watch out for the hashtag – you might be tagged over the next couple of weeks too. Coincidentally , Jenny also shared a Coffee & Walnut Cake for her last Bake of the Week – showing that it is indeed a popular choice. 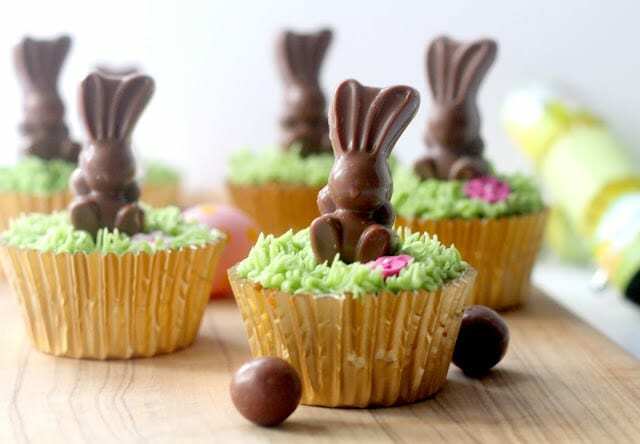 My featured bake for this week goes to A Strong Coffee with her delightful Malteaster Cupcakes – I’m really in the mood for Easter as I’ve been doing some Easter planning today. Watch this space for recipes and sugarcraft delights coming soon. A small but select number of entries into our last Bake of the Week – Some lovely bakes though. 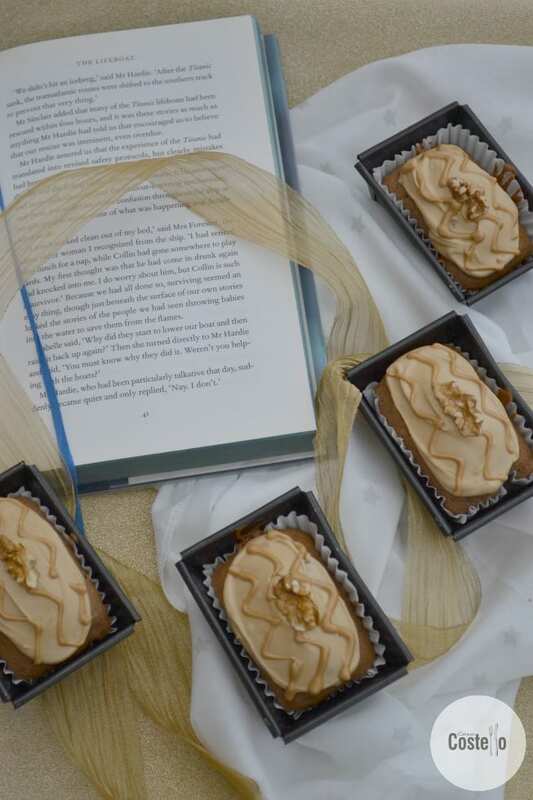 I love this time of year for fresh, new baking ideas and it seems like I’m not the only one. 1. 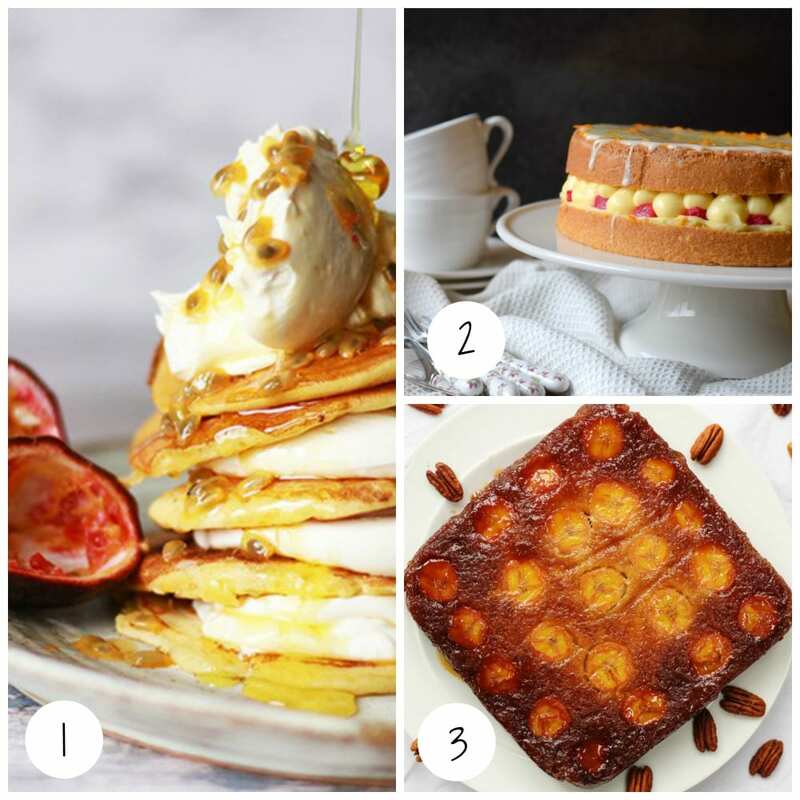 A Proper Foodie shared her American Pancakes with 3 different combinations. 2. Only Crumbs Remain shared her ultra pretty Rhubarb & Custard Genoise cake. 3. I agree with Searching for Spice that her Upside Down Banana Cake would not last long. The linky is open now for your new entries. 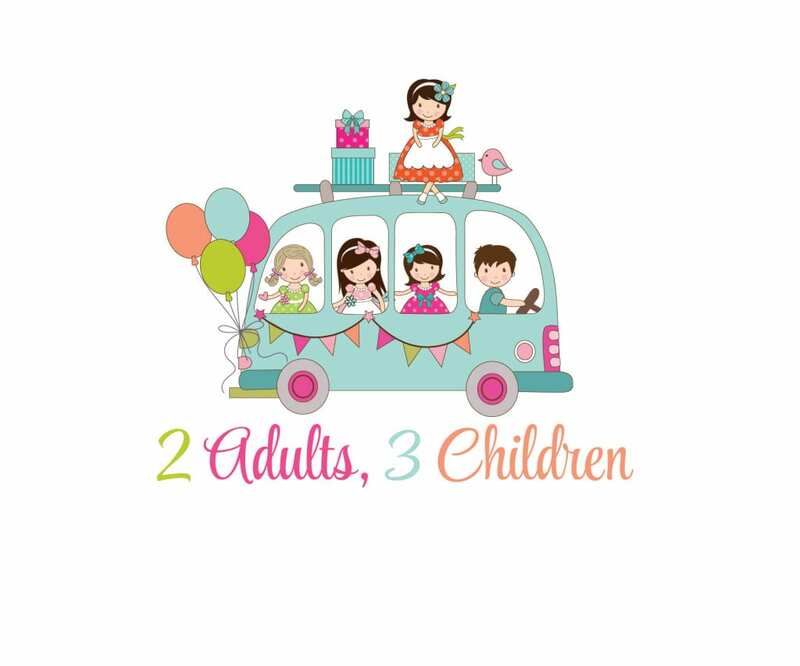 There’s not many rules but please link to both Me (https://casacostello.com) and Jenny (http://mummymishaps.co.uk) in your post. The badge is below to add as well. Up to 3 entries per blog each week. 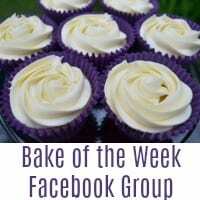 We do encourage people to comment on each other’s entries too if you have time – Makes the baking world a lovely place! my favourite cake! Looks fab as a little smaller than some recipes too which is great as only me likes it! This classic combination is one of my personal favourite. We used to bake often at home but now only get the chance to do so maybe once a month at best. You’ve inspired me to give this particular recipe a go, thank you! I absolutely can’t stand walnuts but for some reason really love walnut cake. This looks delicious! My absolute favourite but one which I don’t indulge in too often. It’s far too moreish, I love the size of these though, just perfect to enjoy with a brew. Not made little loaves for yonks – may have to do some to take away this weekend! Love coffee and walnut, such a classic combination. Sorry I missed last week, will try to join in this weekend!